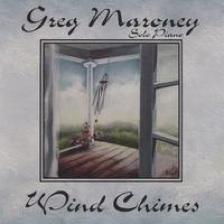 Greg Maroney has been one of my favorite pianist/composers since I first heard his album Sentinel back in 2002. I mentioned in that review that it sounded to me like Greg was “probably the most at home sitting at the piano and letting musical magic happen.” Over the years, Greg and I have become good friends and that feeling has never wavered. A consummate artist, Greg seems to get better with each album (even though his first albums were exceptional!) and this one is stellar! 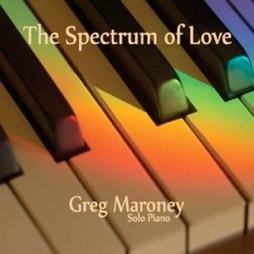 The Spectrum of Love is Greg’s ninth album and began as a collection of love songs for his wife, Linda. As the process went on, Greg thought about how many different forms of love there are and set out to express them in music. The fifteen pieces on this album are some of Greg’s best work to date and range from sweet and tender to deeply passionate, concluding with his incredible arrangement of “Be Still My Soul.” The Spectrum of Love will definitely be one of my Top Favorites for 2011! 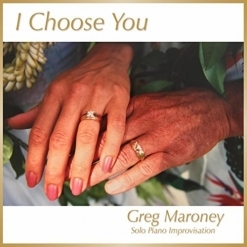 For me, it has a very big “Wow!” factor - not so much for the showmanship of the playing but because Greg Maroney has the chops to express whatever he wants to say in his music so clearly and beautifully. I have to say that I love all fifteen piano solos on The Spectrum of Love, but I’ll mention a few specific favorites. It begins with “Before I Forget,” a piece that overflows with gentle but deep emotion - a love-ly way to start! “Hand in Hand” conveys the sweet innocence of first love. The title track is more introspective yet remains warm and dreamy. The graceful movement and passion in “Saved By a Passing Moment” are breathtaking. “Once in a Lifetime” conveys unbridled passion and total honesty. Some passages are very light and others are “big” and dramatic - a masterpiece! “Rainbow’s End” seems to be telling a story - perhaps two people reminiscing about a lifetime spent together. “Diamond Days” sparkles as the music swirls and dances. “The Greatest Is Love” burns from deep within - elegant and intense. “Even Still and Forever” is comfortable and contented while conveying fervent emotions. “Missing You” begins quietly and evolves into a powerhouse of feeling. “Be Still My Soul” has been a very popular hymn for instrumental artists to arrange and perform, but Maroney’s personal and evocative interpretation is by far my favorite. The Spectrum of Love is amazing from the first note to the last. Do your heart, soul, and ears a favor and check this one out! 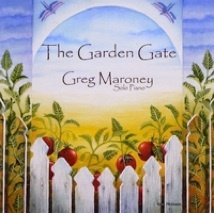 It’s available from gregmaroney.com, Amazon, iTunes, and CD Baby. I give it my highest recommendation!